OTTAWA - The Harper government's overhaul of federal election rules could make it difficult for more than half a million voters to exercise their constitutional right to a ballot, says the author of a report that's been used to justify the crackdown. "Either amend it or pull it," Harry Neufeld said of Bill C-23 — dubbed the Fair Elections Act — after appearing before a parliamentary committee Thursday. Neufeld, the former British Columbia chief electoral officer, was just one of five non-partisan experts in electoral process to tell MPs the legislation requires some major fixes. In fact all five witnesses said the bill, as written, would do more harm than good to Canadian democracy. "My experience in 33 years in this business is that when you deny somebody the vote and they don't think there's a justified reason for it, they get really, really angry," Neufeld told reporters after an hour of blistering testimony. "And sometimes they're quite willing to take it to the courts." He said if the bill passes as currently drafted "there will certainly be some court cases where Charter rights are put in question." Following the 2011 federal election, Neufeld wrote a report for Elections Canada detailing serious irregularities in 42 per cent of cases where voters vouched for others who lacked proper identification. 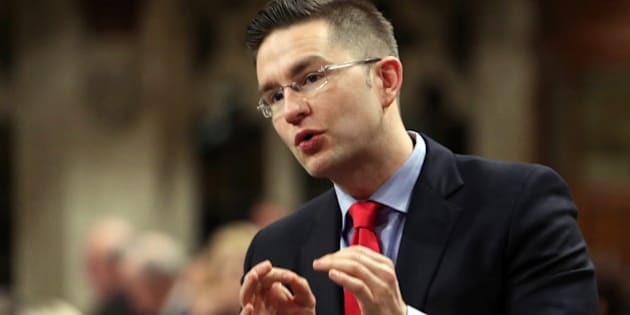 Pierre Poilievre, the minister responsible for democratic reform, has repeatedly cited the report to justify Bill C-23, which would eliminate the practice of vouching. At the same time, the legislation will end the use of voter information cards, which certain groups such as students, aboriginals and the elderly in long-term care facilities are allowed to provide as proof of residency. Neufeld said Poilievre has been "selectively reading and quoting from my report" while ignoring the recommendations. Nor has the minister ever contacted him to discuss the report. "I was waiting for that call and it never came," he told the committee. Neufeld recommends better training of elections staff to end vouching problems and more widespread use of voter information cards. Poilievre, speaking later in the House of Commons, made no apologies. The minister asserted he's been quoting Neufeld's own findings "accurately and in context" but is under no obligation to follow the report's advice. "At no time did I ever claim to agree with his recommendations," said Poilievre. "I don't agree with them, and that's why they're not in the bill." Neufeld said Thursday that about 400,000 people legally voted in 2011 using voter information cards as secondary, residence identification. Another 120,000 or so citizens voted after being vouched for. "To me, that math is 520,000 people," who would be hurt by the legislation, he told reporters. Conservative MPs have argued strenuously that better Elections Canada advertising would inform voters of the ID requirements and end the need for vouching and voter information cards. Neufeld said he wasn't convinced. "I'd say, generously, you might get half of those people to show up with ID, so you're looking at at least a quarter million people who won't be able to vote (in 2015)," he said. "This is a fundamental right. It's guaranteed by the Charter. It's guaranteed by international treaties. You have the right to vote." Vouching has become a flash point issue for Bill C-23, but widespread concerns have also been aired over provisions that would keep the chief electoral officer from communicating with the public except for when, where and how to vote. Canada's current and former chief electoral officers have zeroed in on the bill's efforts to end vouching and limit communication with the electorate. Neufeld, along with witnesses from the Institute for Research on Public Policy, Fair Vote Canada, Civix and Samara all raised similar concerns. Green party Leader Elizabeth May had sought standing at the committee on the grounds that election rule changes affect all MPs, but she was denied by the Conservative majority. However the NDP permitted her to use some of its questioning time Thursday and May asked the four non-partisan groups whether C-23 "will help or hurt the health of Canadian democracy." Taylor Gunn, the president of Civix which teaches school kids about voting, responded first — and diplomatically. "It's not passed yet which means there's lots of room for all the changes I think we've suggested," Gunn said to vigorous agreement from the three other witnesses seated beside him. May then asked them whether the bill would be helpful if specific changes on vouching, voter information cards and open communications are not amended. "Based on our work, it would have to be No," said Graham Fox of the Montreal-based Institute for Research on Public Policy. "I think diminishing the role of Elections Canada would be bad for Canada," said University of Ottawa law dean Nathalie Des Rosiers, of Fair Vote Canada.